Accidents can happen in a blink. 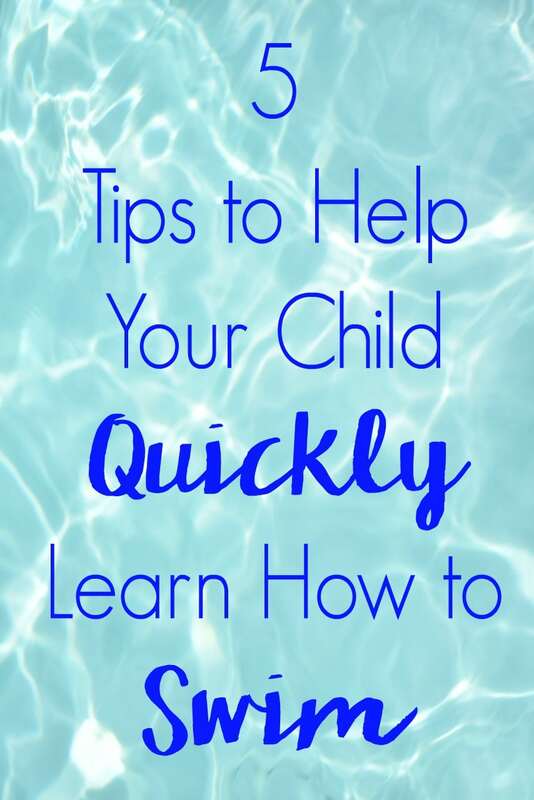 There’s no time like the present to Help Your Child Quickly Learn How to Swim. Try these 5 tips! We’ve officially survived the first full week of summer vacation. Everyone is still healthy, happy, and thoroughly enjoying the break from the chaos and schedules of the school year. We’ve also been enjoying all of the opportunities to cool off in the water. From splash pads and sprinklers to lakes and pools, we’ve been finding a way to get in the water and have fun nearly every day so far. One of our big goals this summer is to get Colby finally swimming. Brady’s been swimming for a couple of years now and has been picking up the following summer right where she left off the previous year, but at 5, obviously, Colby regresses a little bit. There’s always that fear and loss of confidence. Now that she’s 5, I really think this will be Colby’s year because for Brady it seemed to really click when she was that age. Since we’re in the early stages of putting in a backyard pool, it’s more important than ever that this be the year that Colby learns how to swim on her own. We’re still a month or so out from breaking ground, but have heard once that happens the rest of the build goes pretty quickly. There’s nothing scarier than having a backyard pool and one of your children not knowing how to swim. Needless to say, we’re getting pretty intense with teaching Colby to quickly learn how to swim and ensuring she learns to swim as quickly as possible. 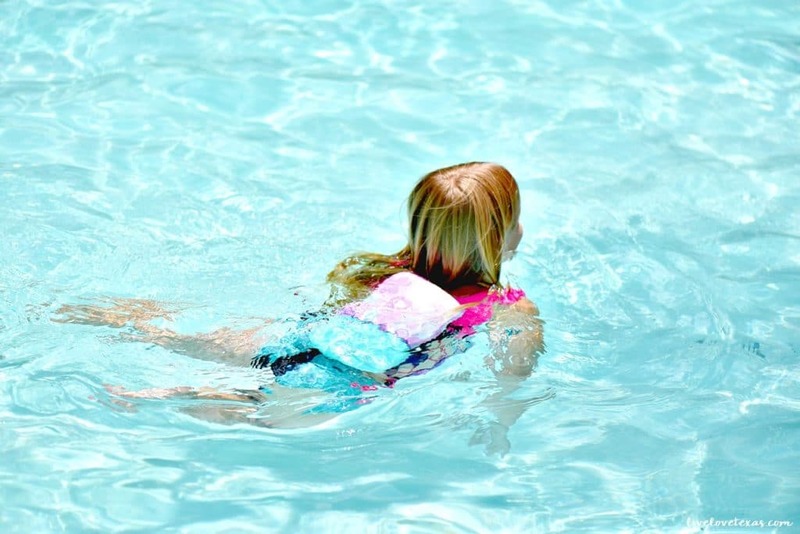 If you’re looking to get your little swimming this summer, check out these 5 Tips to Help Your Child Quickly Learn How to Swim. 1. Go to the pool daily. If you can’t make it to the pool every day, try to at least make a regular schedule to get there and give your child every opportunity to practice their swimming skills. The more opportunities to swim, the faster they’ll pick it up and retain this life skill. 2. Keep the lessons short. A lot of kids have a hard time focusing for too long, let alone if they’re at a public pool and see other kids splashing around and playing. Set your lessons for 30 minutes max when you first get to the pool and then allow them to have fun for the rest of your time. You want to encourage your child to swim while at the same time explaining the dangers of drowning and still ensuring they feel safe. If you don’t have the time, patience, ability or some combination of these to teach your child how to swim, pay a professional for swimming lessons. These lessons will teach your child the proper technique and give them focused time with a teacher, which I don’t know about your kids but mine often listen better to adults other than myself. Even if you are able to teach your child how to swim, swimming lessons will reinforce what you’re teaching them at home and can give them year-round access to hone their skills. 5. SwimWays Step Three Power Swimr. This graduated floatation is like training wheels for the pool. It allows Colby to advance her swimming ability but still move at her own pace. It has adjustable cords and a support strap for a snug fit plus 9 removable floats allow the Power Swimr to adjust to Colby’s swimming ability and feel empowered and confident in the water. 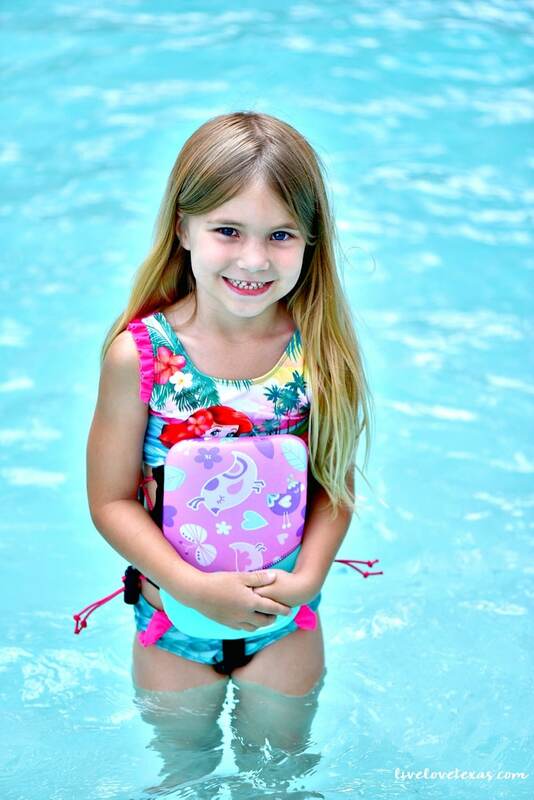 SwimWays is a leader in helping children learn how to swim while promoting water safety. The brand started National Learn to Swim Day in 2012 and this annual event is dedicated to educating parents and children about water safety and the importance of learning how to swim. 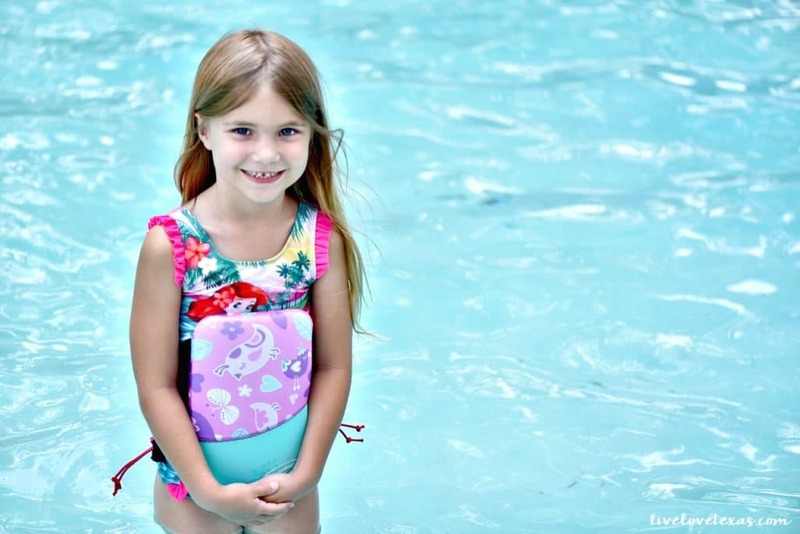 Do you have any tips to help your child quickly learn how to swim?